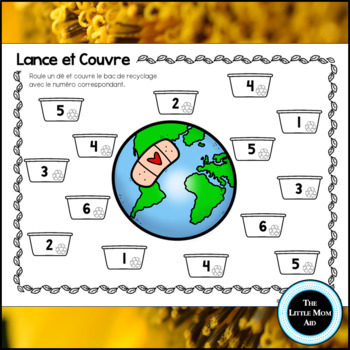 A fun and engaging French Earth Day Addition and Subtraction roll and cover game that is perfect for math centers! 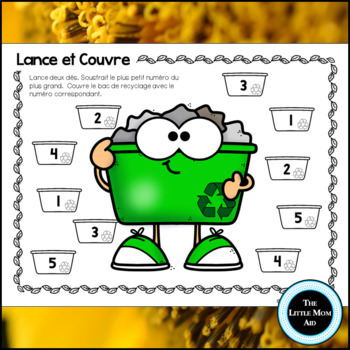 Your learners will have a blast practicing number recognition, addition and subtraction with this Earth Day themed roll and cover game. 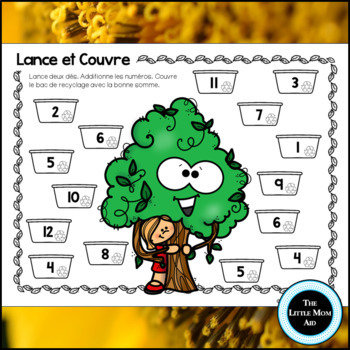 This is a simple and easy to use activity for your students practice their addition and subtraction facts. 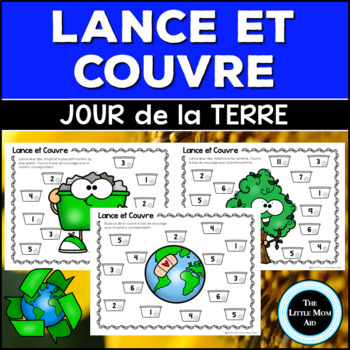 This Earth Day Roll and Cover pack includes 3 game boards and 4 recording sheets which come in both color and in black and white.